This course is designed for those who are looking to earn themselves the badge of Whitewater kayakers. 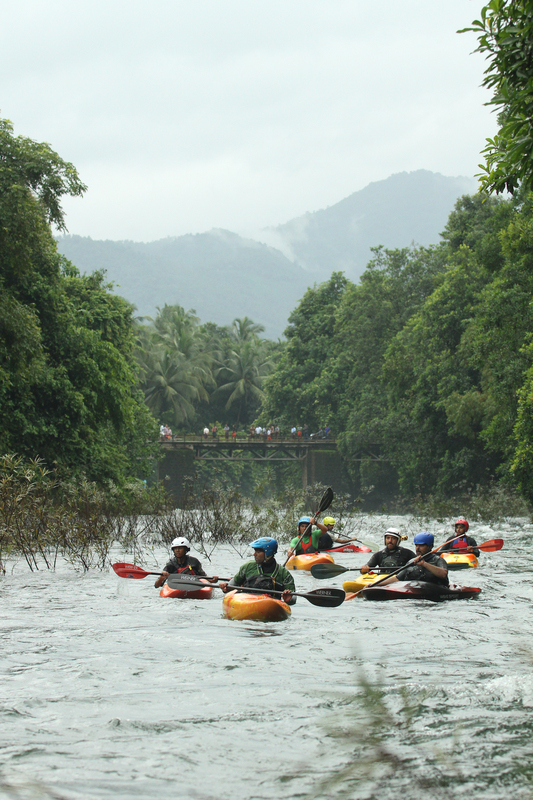 We revisit the basics of kayak rolling and river running on the scenic confines of Kayakkam reservoir and on the following day we guide you down a challenging section of the Iruvanhjipuzha river. This is the day when you put into practice everything that you have been training hard for. We run the section from toddy shop bridge to Jogi's holy hole on the Iruvanhjipuzha. With 4 challenging class III rapids to negotiate, this section will test you both physically and mentally. However, with seasoned ACA certified instructors on hand you have nothing to worry about as long as you bring the right attitude and the same level of commitment that we will put in to ensure that you make it down the river safely. *Food, Accommodation and Local Transport charged as per actuals. Our Students are given the top quality equipment which has been certified for use on any grade of whitewater.